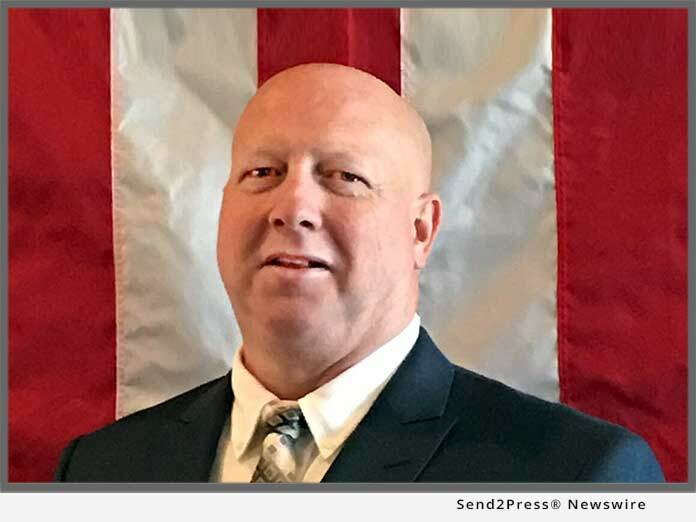 LAS VEGAS, Nev., Apr 17, 2018 (SEND2PRESS NEWSWIRE) -- Mitchell T. Tracy, Republican candidate for Clark County Commissioner District F is fed up. He says that Tisha Black, a Harry Reid Democrat, is running on the Republican Party ticket, but she's a 'never Trump Republican' who is going up against him, an authentic pro Trump, Reagan conservative. The Clark County Commissioner District F in Clark County, Nevada is now an open seat because the incumbent's term is over. Tracy says that he lost to the incumbent in the 2014 general election by only 2737 votes 49 percent to 44 percent. "Reid and the Democrats want to make sure they don't lose this seat which is why they've inserted Black to run," Tracy says. According to Tracy, Black has supported and voted for Democrats over the last 17 years, including giving Harry Reid's U.S. Senate Campaign $2,000 in 2001 and $5,000 to U.S. Senate Catherine Cortez Mastro in 2016. "It just makes sense to have a real Republican in this position," Tracy says. Since he was 18, Tracy has been a registered Republican. He joined the Orange County Young Republicans at 22 and has owned a small business - a limousine service. And, he's donated limousine services to the Orange County Young Republican group as well as to the Make-A-Wish-Foundation. Since moving to Clark County in 1999, he's been involved with "We the People" of District F and has contributed to the community through charity work and neighborhood watches. Curious about the community at large, he's also done a ride-along with the Las Vegas Metro Police Department and visited local fire stations to talk with fire fighters about issues they face. Tracy has never and will never support a Democrat. "I'm a Pro Trump supporter, Reagan conservative, Tea Party supporter, anti-establishment, anti-elitist, 'America First' candidate," he says. "I'm also the only U.S. military veteran running for this seat," he says. If elected, Tracy will work to get more police officers on the street and to improve response times. He will also work to lower property taxes and sales taxes, bring more jobs into the area, and get free parking for local residents at casinos. Tracy says that President Trump needs Clark County to go Red for 2020. They don't need a RINO. "Black is going to do and say anything and everything she can to win this race," Tracy says. "Meanwhile, more than 80 percent of her campaign contributions have come from Reid contributors. Don't let Reid and the Democrats win. Small government 'for the people,' that's what I'm all about." For more information, visit: https://www.mitchelltracy.com/.